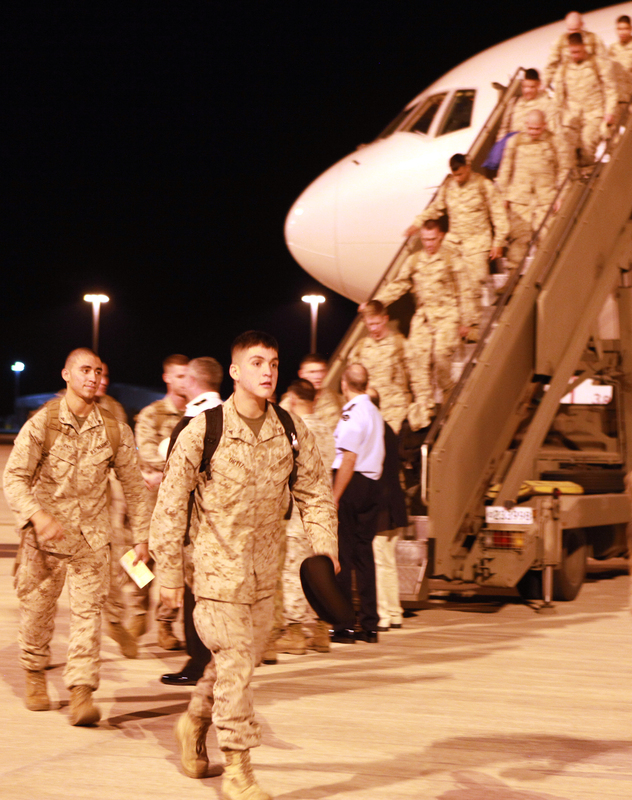 The second group of Marines to rotate through Australia arrived in Darwin Sunday night for the start of their six-month tour. About 200 Marines with Lima Company, 3rd Battalion, 3rd Marines, arrived in Darwin, Australia on Sunday for a six month rotation. This is the second rotation of Marines to move through Darwin. U.S. 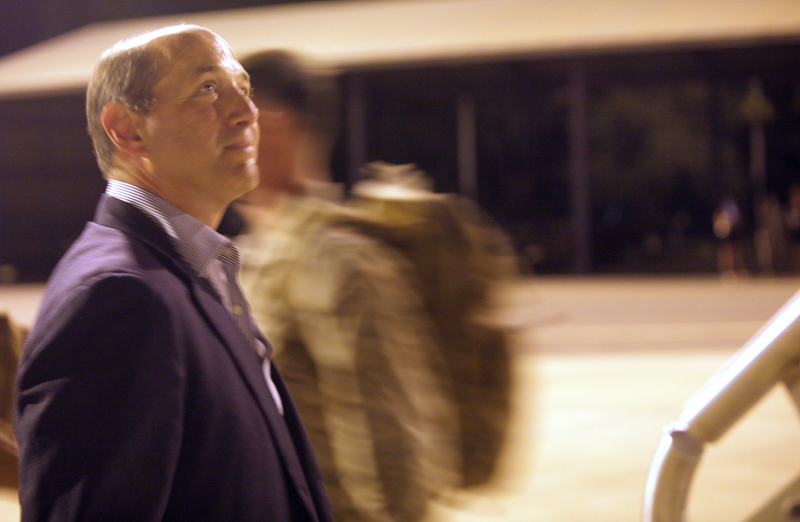 Ambassador Jeffrey Bleich greeted about 200 Marines with Lima Company, 3rd Battalion, 3rd Marines, after their Boeing 737 landed, according to a Marine Corps news release. The members of 3/3 are based out of Marine Corps Base Hawaii. Bleich said he met with Darwin government officials last week, and they were enthusiastic about the Marines coming back to town. When members of Fox Company, 2/3, were in Darwin last year, it was estimated that they boosted the local economy by $1.8 million. The Lima Company Marines’ presence is expected to bring even more money there this year, according to reports put out by the Australian government in October. In 2012, the Marines with Fox Company participated in exercises with forces from Australia, Thailand, Malaysia and Indonesia through the spring and summer. This year, Lima Company is expected to work with Australian and Indonesian forces. One of the “table top” events they’re conducting is expected to lead to a full-scale trilateral exercise. It focuses on humanitarian assistance and disaster relief. Lt. Col. Matthew Puglisi, officer in charge with Marine Rotational Force – Darwin, said the Marines’ continued partnership with their Australian counterparts strengthens an “already robust relationship.” Lima Company is expected to participate in its first bilateral exercise in early May, and it has the potential to opens doors for other partnerships in the region, according to the release. Australia’s good reputation could provide access to other militaries in the region, said Steve Bucci, a retired Army Special Forces officer now with the Heritage Foundation, a Washington think thank. U.S. Ambassador Jeffrey Bleich greets Marines with Lima Company, 3rd Battalion, 3rd Marines, upon their arrival from Marine Corps Base Hawaii on April 21. The Australian government now plans to assess the effects of rotational deployments of up to 1,100 Marines. Officials expect to see the total number of Marines rotating through Australia to grow to 2,500 by 2016, at the earliest. That would include supporting aviation and logistics units. Fox Co, 2/3 was in Australia last year.